DialMyCalls offers a mass notification portal that gives members the ability to have broadcast recipients sign up for alerts through a self-managed system. Schools, cities, neighborhoods, and various other organizations can set up a portal and then direct people to opt-in to receive their alerts. Once a portal is set up, tell your recipients to navigate to your landing page and have them sign up to receive your alerts. Each user will be able to add a pre-determined amount of phone numbers and email addresses that they would like to receive your alerts – this information can be updated at any time. Above Image: Users can sign up for a portal account and manage the phone numbers and email addresses they would like to receive alerts to – subscription groups allow them to opt-in to the alerts they would like to receive from you. The portal system that has been developed is extremely powerful and gives customer’s the ability to send out an alert via phone call, text message and customized email at the same time. Unlike the traditional DialMyCalls system, contacts added into the portal system are completely self-managed by the users that are signing up to receive alerts. 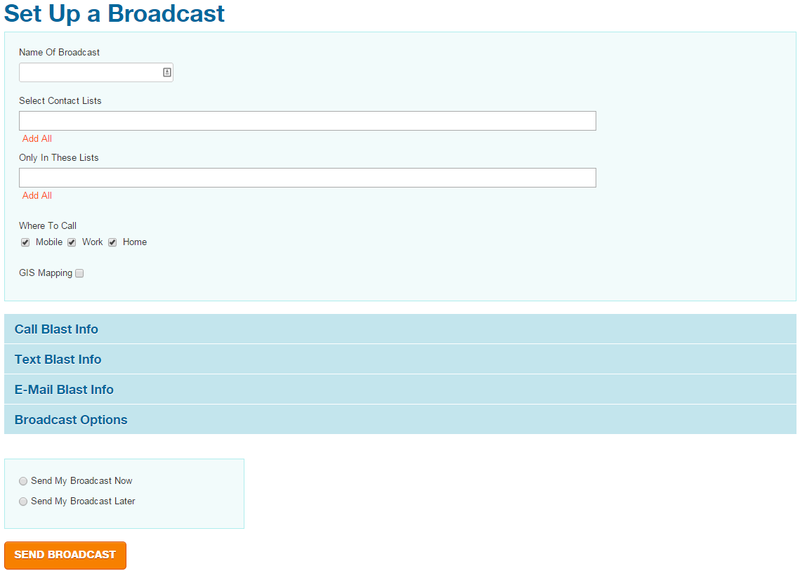 Above Image: Portal admins can create a broadcast and send it out via phone call, text message and customizable email to all contacts at once. In addition to sending broadcasts to specific subscription groups, portal admins have the ability to use our GIS Mapping feature. This will allow you to draw an area on a map and our system will only send an alert to users in that targeted area – this is a great feature if you have an alert that only needs to go to a specific neighborhood. 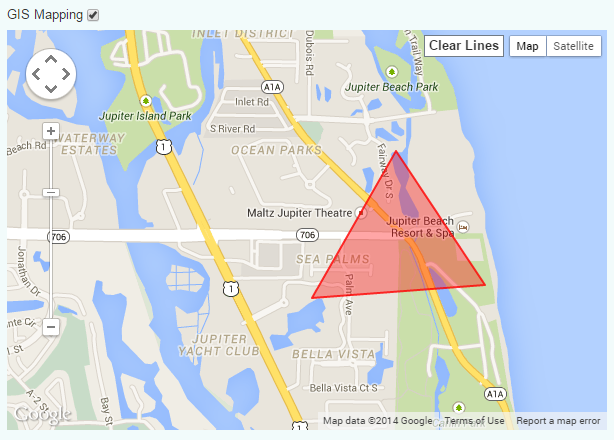 Above Image: Utilize our GIS Mapping feature to send a portal broadcast to a specified location on the map. *Note: DialMyCalls portal admins do not have the ability to upload contacts into their account – all contacts must sign up for an account on the portal landing page and enter the phone number(s) and email(s) that they would like to receive alerts to. Our Mass Notification Portal is custom-built for each customer and is currently only available for yearly contracts and by special request only. If you would like more information regarding our portal system, please contact us.